This library is for all those dance producers who have ever wanted to lift grooves direct from those classic dance 12-inch singles in their collection. All of its 38 construction kits are a downright delight just to listen to, let alone dissect for creative use. 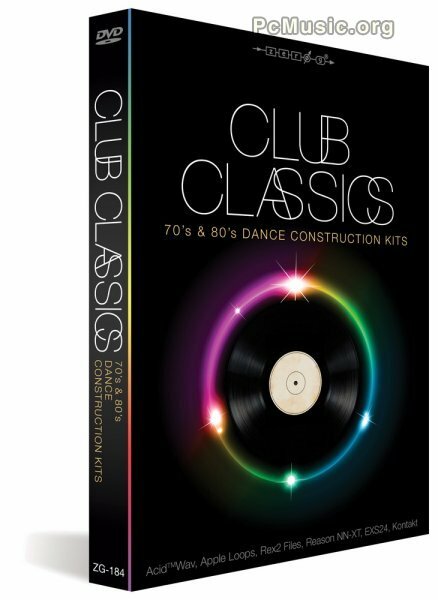 The main styles of the library focus on the genre-defining grooves of 70s and 80s dance classics and really don't get any more authentic than this. All of the construction kit instruments have been captured with the finest attention to detail to really replicate that retro sound but with all the benefits of today's high-fidelity recording gear. In addition to 38 construction kits, there are extra synth, bass, piano and percussion loops as well as loads of single hits.